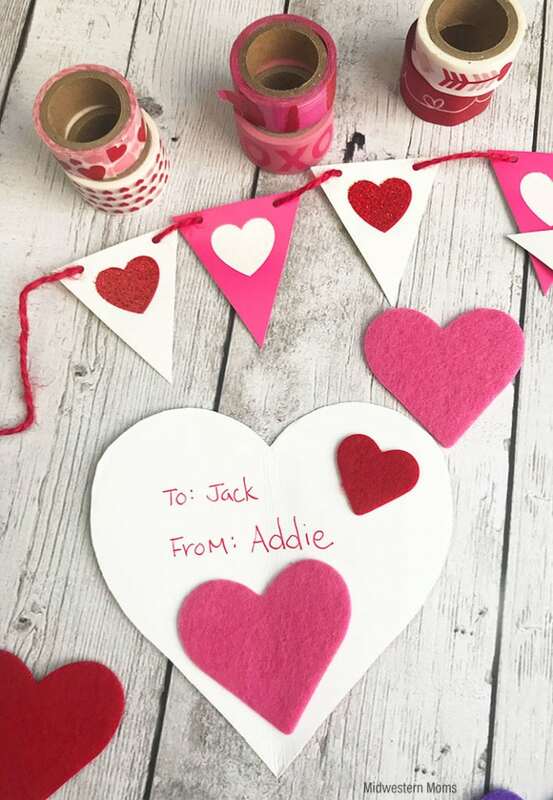 Want to get crafty with the kids for Valentine’s Day? 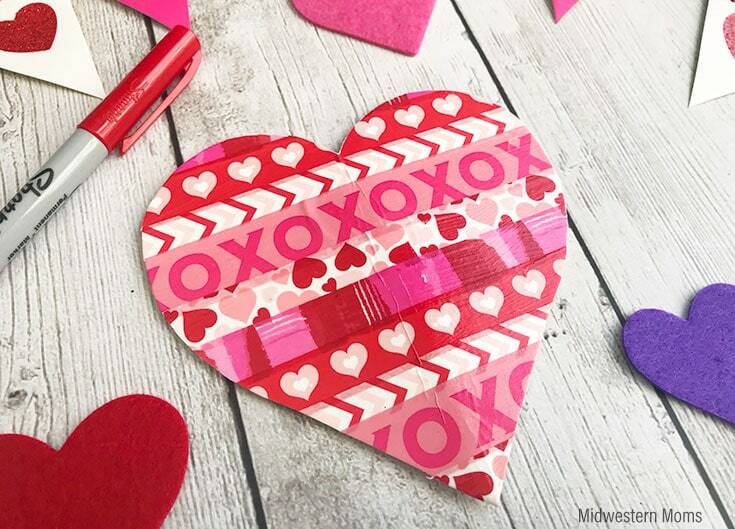 Learn how to make a simple washi tape valentine card that the kids will love to create for friends and family! If you are looking for a simple Valentine card that kids can make (with a small bit of help from parents), this washi tape valentine card tutorial is perfect! 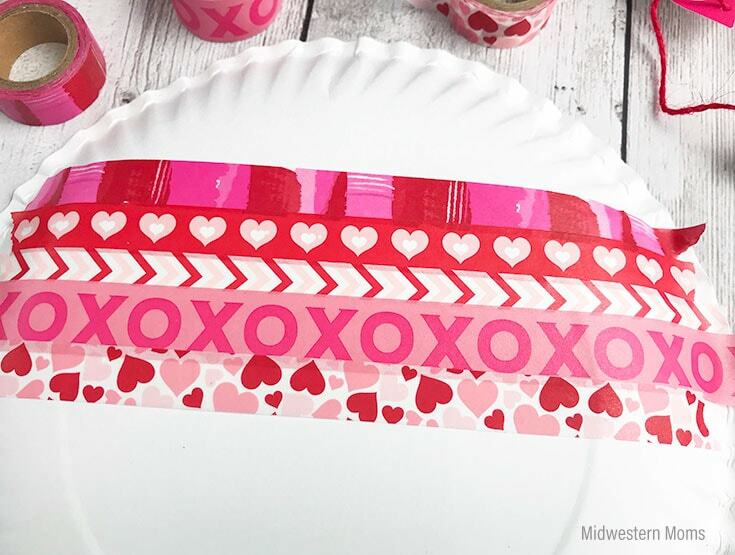 Taking one strip of washi tape at a time, apply the strips to the back of the paper plate. Alternate the different washi tape styles. 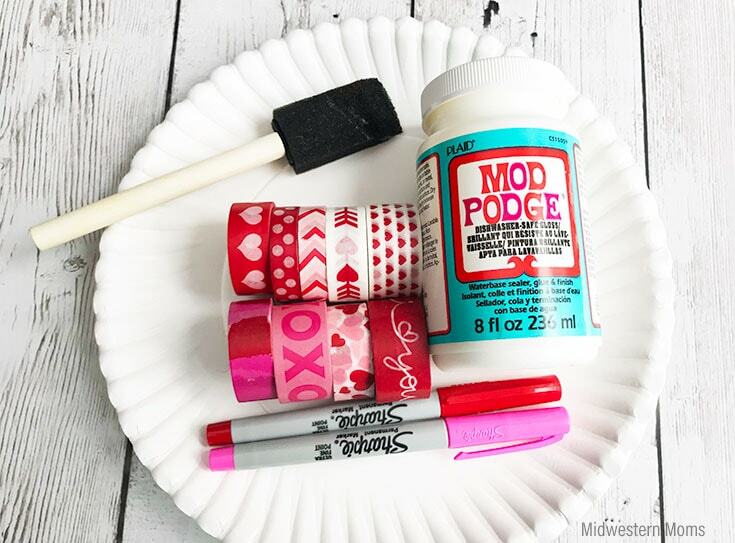 Once the paper plate is covered with washi tape, use a sponge brush to apply a coat of Mod Podge over the washi tape. Apply a generous amount. Once the Mod Podge is dried, the kids (if they can be trusted with scissors) can cut out one large heart or several small hearts. 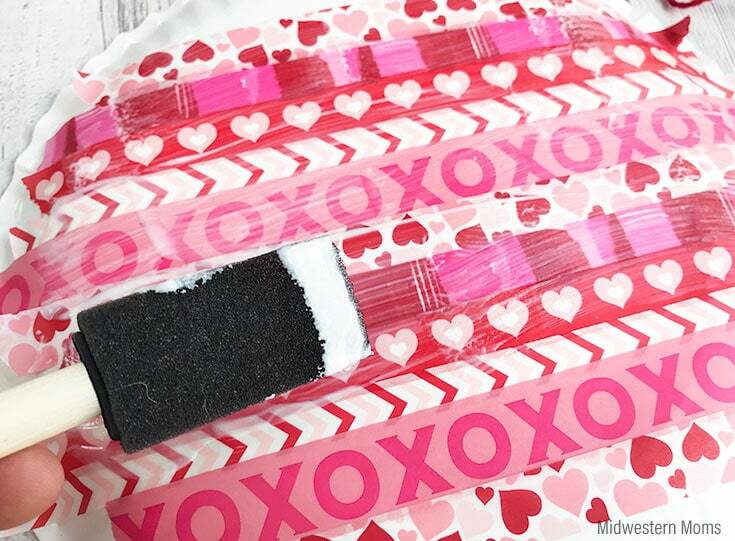 Flip the washi tape valentine heart over and write on it with sharpie markers. If you want, decorate the non-washi tape side with Valentine stickers. Now they can deliver their cute creations to their family and friends! 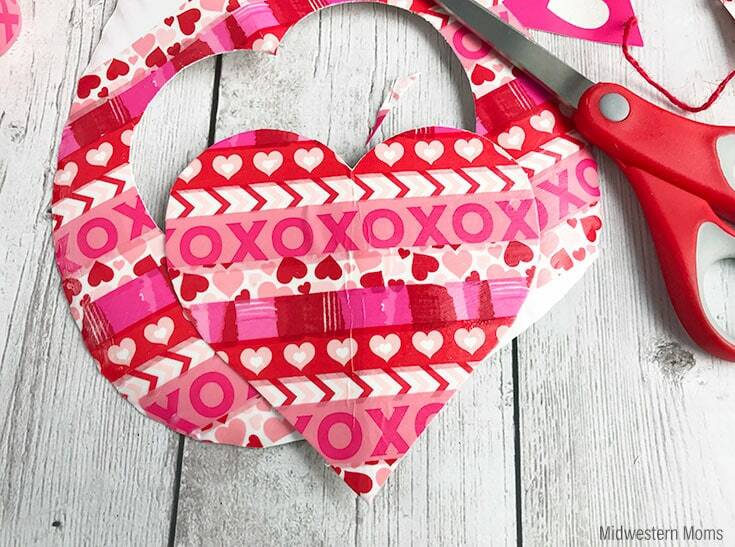 Ready to tackle more Valentine’s Day crafts?